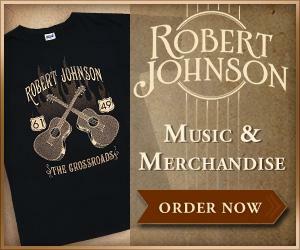 The 2011 Robert Johnson Centennial Festival! 2011 marks the centennial birthday of the blues legend that shaped American music. The Robert Johnson Blues Foundation is partnering with Red Planet Entertainment to salute two icons of Americana — musician Robert Johnson and writer Tennessee Williams. These two central figures have left a legacy that will highlight film and music in Mississippi through the 2011 Sun & Sand music and film festival. Friday night November 11 will be dedicated to discussions about the stage production of “This Property Is Condemned,” the 1946 stage play developed by Tennessee Williams. The Depression-era story takes place in the fictional Mississippi town of Dodson. The film production was created by Francis Ford Coppola and starred Robert Redford and Natalie Wood. The evening will wrap with live music and entertainment. Saturday, November 12. There is no party like a Robert Johnson Centennial party and what better place to do so than at the Hard Rock Casino in Biloxi, Mississippi. The world of Robert Johnson deserves to be on international display during 2011. Following the tradition of a combined focus on gaming and music entertainment, The Robert Johnson Blues Foundation is partnering with the Hard Rock Casino in Biloxi, Mississippi to feature a dynamic weekend of entertainment including Golf, Guitars and Gaming! Join the friends, family and fans of Robert Johnson for a spectacular weekend that will begin Saturday morning with an exciting golf outing at one of the Gulf coast’s fine courses. Or spend the morning by restoring your balance at Hard Rock Casino’s Rock Spa where one can receive everything from deep tissue massage therapy to facials all within the confines of the Hard Rock Biloxi Casino. Then join us that evening for a double-feature event saluting the King of Delta Blues. Robert Johnson: The Man, The Myth, The Music! — a theatrical one-man show starring musician Vasti Jackson. Next party into the night with a historic Mississippi tribute featuring a live concert performance by the Robert Johnson International Blues Review with video appearances by Eric Clapton.